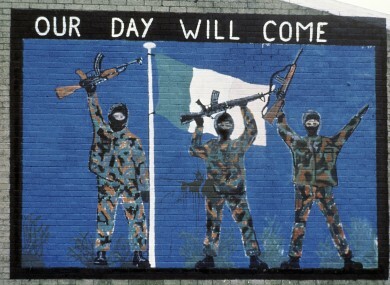 Can a line be drawn under the killings that occurred before the Good Friday Agreement? THE ATTORNEY GENERAL for Northern Ireland has said he believes there should be no more police investigations, inquiries or prosecutions of any killings that occurred during the Troubles before the Good Friday Agreement. Speaking to BBC News and RTÉ, John Larkin said the rule should be applied to paramilitaries, the police force and the British army. According to the AG, the chances of a successful conviction diminish as the years pass, making now a good time to “take stock”. It strikes me that the time has come to think about putting a line, set at Good Friday 1998, with respect to prosecutions, inquests and other inquiries. Larkin insisted his proposal was not a full amnesty as the crime committed would not cease to be a crime but it would mean no criminal proceedings could be taken over the offence. He noted that the current tools for investigating the role of the British army and the police force during the Troubles were “very good” but that they were not matched by those which could bring paramilitaries to account. Drawing a line – at the point of the Good Friday Agreement – may also see families find out more about the deaths of their loved ones, he added. “We can’t really be surprised if people don’t tell us as long as the theoretical threat of prosecution remains,” he said. Larkin has made a submission to the talks process currently underway with US diplomat Dr Richard Haass, who is trying to broker an agreements on how to deal with the legacy of Northern Ireland’s parades. NI Attorney General commonsense no pre-Good Friday conflict-related prosecutions. Best to help Victims & address The Past in other ways. NI AG’s proposal an utter betrayal of victims’ fundamental right to access justice, a tenet of int’l human rights law. The full interview with John Larkin is due to be broadcast on RTÉ radio after 8am. Email “Northern Ireland Attorney General calls for end to Troubles prosecutions”. Feedback on “Northern Ireland Attorney General calls for end to Troubles prosecutions”.